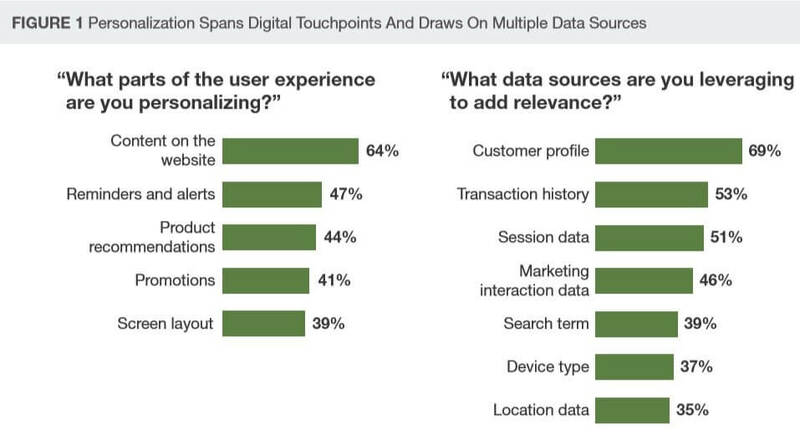 Personalization is one of the top priorities on the agenda of every consumer-facing enterprise today. Many have spent the last decade setting up an infrastructure of consumer terminals and touch points to gather data to fuel analytics. The goal is to leverage that customer information in an effort to create a more relevant consumer experience and foster customer loyalty. Companies selling via e-commerce channels are working hard to get the right user interfaces in place to gather enough consumer data without driving consumers away. But on the back end, many companies struggle to have the necessary infrastructure in place to sort through the terabytes of gathered information needed to establish useful connections between data used to provide useful recommendations and customized experiences for their consumers. When done right, personalization is a powerful tool which propels businesses to innovate, drive revenue growth (up to 30%), reduce costs, and keep customers coming back for more. Despite 89% of digital businesses reportedly investing in personalization, many firms still rely on their old in-house technologies. They are missing out on modern solutions with the built-in capability to manipulate data from all the corners of the enterprise and transform it into strategic insight in a fraction of the usual time. Over half of the firms surveyed by Forrester struggle with the lack of funding and resources (51% of the respondents), while 44% don’t have the right technology to support a more sustained personalization effort . Research shows that customers are generally willing to share information about themselves as long as they feel that it will be safe (protected) and it will enhance the overall shopping satisfaction. As the expectations continue to evolve, companies are shifting away from the traditional model of optimizing internal capabilities for certain market segments towards putting the customer at the center of the firm’s values and operations and individualizing the customer lifecycle to generate an enthusiastic response. ASOS, the British online fashion and beauty store, is one of the favorite shopping destinations of fashion-savvy individuals around the world. How does ASOS personalize their offer to cater to each individual who enters their virtual shop? In the end, personalization is more than a product; it’s a connected feeling consumers have after a painless shopping experience, which is the outcome of flawless data management across the enterprise.